Here’s a building that should really get your attention when walking pass it. 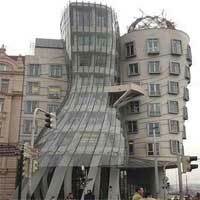 The Dancing House is considered as one of the more real controversial buildings in Prague. The DH was actually designed by a great architect from California, which only proves that he had done some type of hallucinogen while designing it. The Bank of Asia is a very famous building in Bangkok. 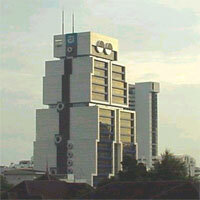 It was made way back in 1985, and its robotic appearance is just a symbol of the modernization of banking. It also has the ability to transform into a mega-robot. So, if Godzilla ever decided to show his green face in the land of Bangkok, they would have to fight! 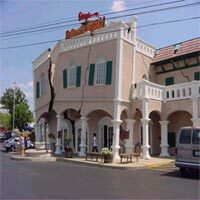 If you saw this picture for the first time, you’d probably thought that it was hit by a massive earthquake. But it wasn’t. 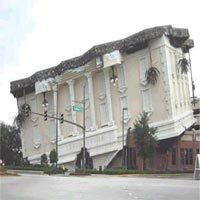 In true fashion of the Ripley Legacy, it was built to reflect the odd 1812 earthquake that measured 8.0 on the rick. The building has now become one of the most photographed in the world because of it. This somewhat modernize building was actually built between 1971 and 1974. Its unique design gives the Wilson Hall a great sense of structure, and a prominent landmark for the skyline. 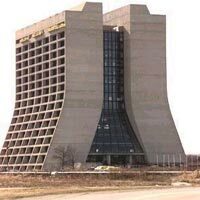 The building provides big laboratories, offices, and supports space for over 1500 scientists. And it houses all kinds of strange experiments. 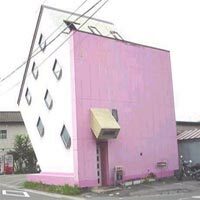 This bizarre house really doesn’t have an official name, but it does have a 135 degree angle. So that’s what we’re going to call it. Unfortunately, the only info we have about this house is that it was built in China or Japan. And that it has a silly pink roof. And if you look real close, you’ll notice that its on a 135 degree damn angle. This hotel’s unique design was directly inspired by the traditional temples in Japan. The Tokyo Sofitel has over 72 rooms, and 11 suites with 3 non-smoking floors. And 5 meeting rooms that includes high-tech boardrooms. Please realize that you have to sell your soul in order to step foot inside this amazing hotel. 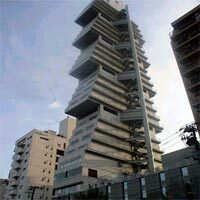 We wonder what type of work goes on inside this kind of a building. 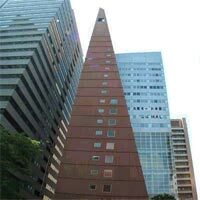 The unofficial Triangle Building is just a wonder to look at and to ponder over. But, can this be one of the evil headquarters for Scientology or Starbucks? Does this building have triangle bathrooms? There’s so many damn questions! 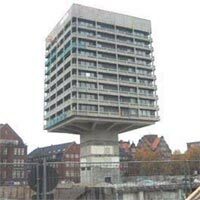 The strange building is actually a brewery in Hamburg, Germany. The floors can move up or down on its skinny column core. As of now, the unique building has been destroyed. One of its more famous beer brands was recently bought by a big refreshment corporation. And that beer brand was called Astra. Take a journey into the unknown with a building called Wonder Works. Its central Florida’s only upside down attraction. And an amusement park for your mind, and your stoner friends. 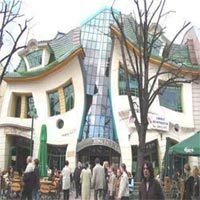 This odd building has over 100 wacky interactive exhibits for your entire family to experience. But make sure you free your weed before coming.